Lawd luvaduck and lawks a-mercy I seem to have ignored the once cherished Ponderblog. Surely a gap of four months must constitute abandonment? Hey ho what is one to do? 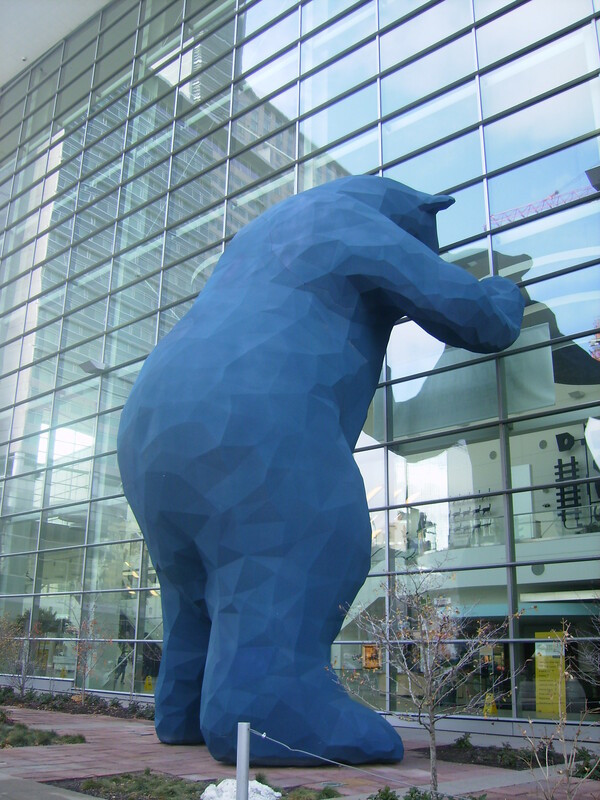 Well I foretell a few postings over the coming days as I wind myself up for Educause 2009 in Denver. 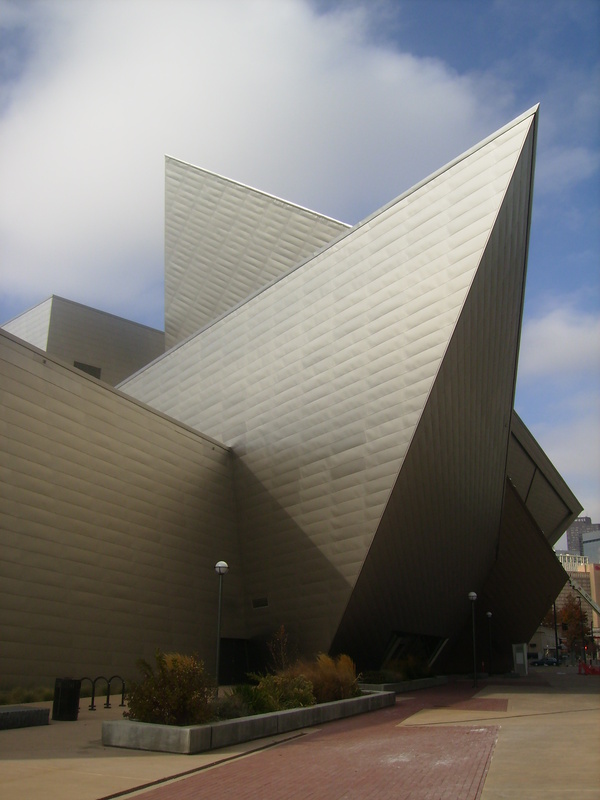 Stage two of the city walkabout took in the Capitol building (odd blue-grey colour and gold dome) past the Colorado History Museum or somesuch and then to the Daniel Liebskind designed Denver Art Museum. This is a spectacular building from outside (maybe if there’s time I will venture inside) its angles slicing through the sky making it an energising building after the standard glass steel efforts of downtown and the otherwise unremarkable architecture. Next the 83L bus to the charmingly (if erroneously) named Cherry Creek shopping hell. Early Christmas shopping for the lad and lassie thanks to Abercrombie & Fitch, American Eagle and (shiver) Victoria’s Secret. The bus trip is another reminder of the us and them of American society – ‘nice’ middle class people take the car and the rest ride the bus making it a slightly dispiriting experience.